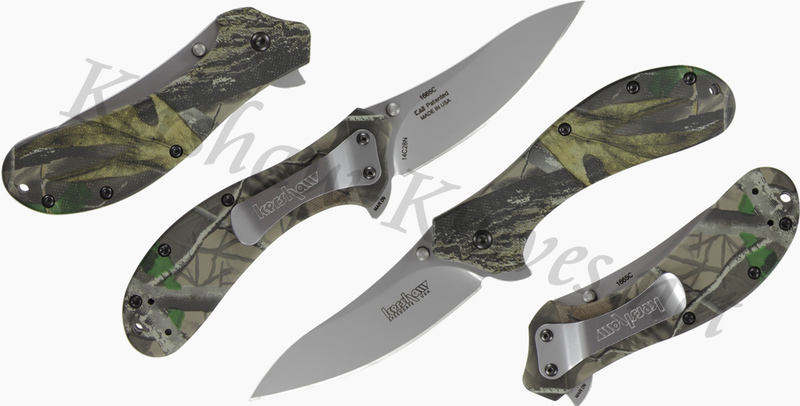 This Kershaw Packrat 1665C has a camouflage G10 handle. 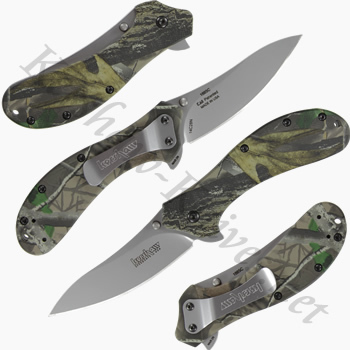 This sort of camo pattern is a unique and limited run by Kershaw which makes this knife quite a collectors item. To add to its greatness this Kershaw Packrat was made in USA and has an upswept Sandvik 14C28N blade. The upswept design is great because it allows you to using a rocking action. Wtih the upswept style less of the blade is touching the object you are cutting. This results in more cutting force in a smaller area. The Kershaw Packrage is assisted opening so you will enjoy easy one-handed access to your blade.